If you’re a Commonwealth Bank or Bankwest customer with an iPhone or Apple Watch, you can now use your phone and wearable to pay for goods using Apple Pay. Support for mobile payments is taking its time to get around the country, but it is happening. Banks are finally waking up and realising that proprietary solutions probably won’t cut it, and the platforms that arrive with iPhones and Android phones will probably work best. It can be pretty unbelievable to realise how long it has taken for some banks to wake up to this fact, but this week, there’s one more that has, and if you have an iPhone or an Apple Watch, you may be left smiling. In fact, if you have one or both of those gadgets and you’re a customer of either the Commonwealth Bank or Bankwest, you can now scan in your card with Apple Pay and use your phone or wearable to pay, as CBA has switched Apple Pay on past its announcement last year. That brings the Commonwealth Bank up to supporting pretty much every major mobile payments platform out there, supporting Google Pay on Android phones and wearables, Samsung Pay on Samsung phones and wearables, and now Apple Pay on Apple’s phones and wearables, too. 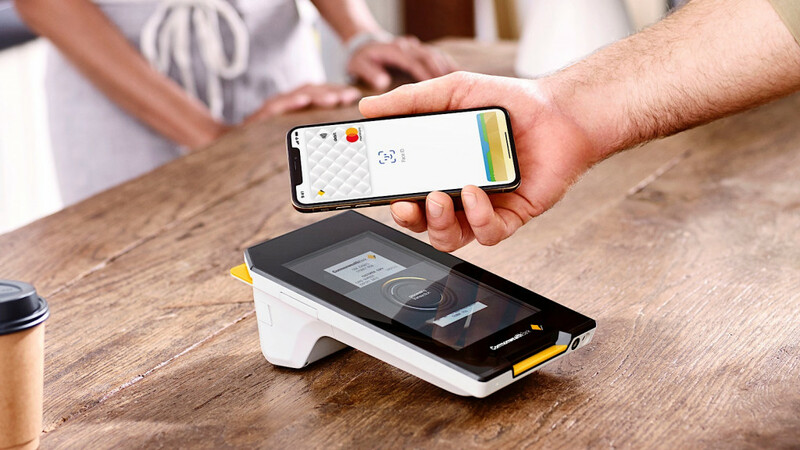 “Following the commitment we made to Commonwealth Bank customers in December, I’m delighted to announce that Apple Pay is available from today,” said Angus Sullivan, Group Executive of Retail Banking Services at the Commonwealth Bank. “In 2019, customers can expect us to continue listening, innovating, and providing the best possible experiences when they bank with us,” he said. Like other banking services supporting Apple Pay, you’ll need an iPhone from iPhone 6 and iPhone SE onwards, which includes 2017’s iPhone 8, iPhone 8 Plus, and iPhone X, as well as the recently released iPhone XR, iPhone XS, and the iPhone XS Max. Apple Pay also works with iPads including the iPad Pro, and even Safari on Macs from 2012 onwards. The addition of the CommBank to Apple Pay in Australia brings support to more banks, too, including ANZ, Bank of Sydney, HSBC, ING, and Up, covering two of Australia’s biggest banks, though NAB and Westpac are still missing in action at present time.